o live as long and be as healthy as they are, thus creating revisions to retirement plans late in their careers. As health and medical science have advanced over the past few decades, so has the lifespan of American workers. Many Americans that retired with the notion that Social Security would suffice in their elder years, came to the realization that Social Security benefits alone weren't enough. A part-time job and even full-time menial jobs at minimum wage levels have become supplemental income for many retired Social Security recipients. Almost 19% of people 65 and older were working at least part-time in the second quarter of 2017, the highest in 55 years. The share of older people in the workforce is higher than any point since before the creation of Medicare. Baby boomers are increasingly ignoring the traditional retirement age of 65, with 32% of Americans age 65 to 69 still employed. The Bureau of Labor Statistics also found that a growing number of seniors are unable to retire even past 70 years of age. 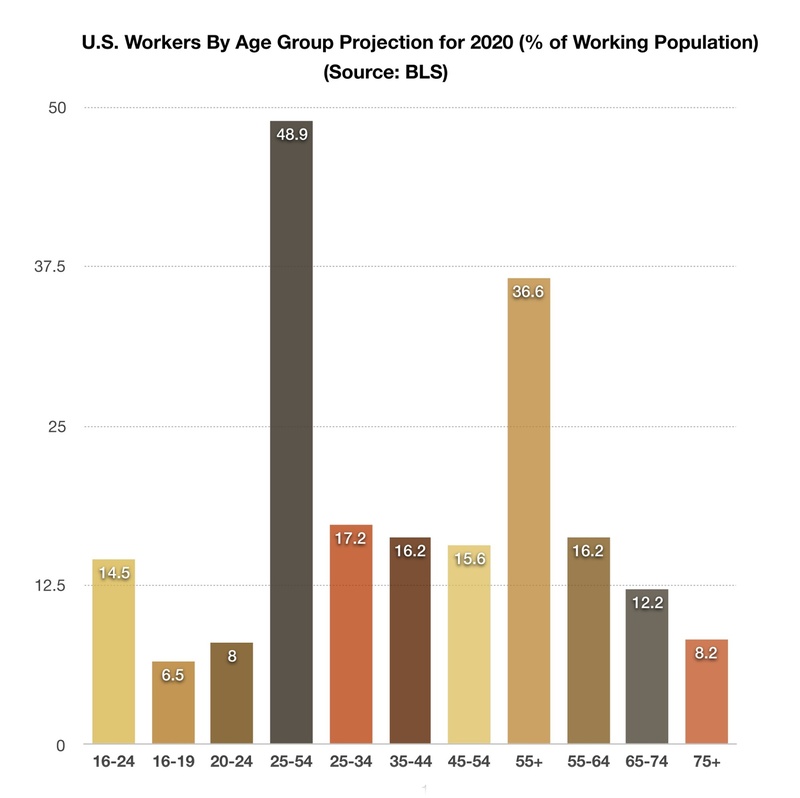 The most recent data shows that 19% of 70 to74-year olds were still working, up from 11% in 1994. The irony of the data released shows that seniors who find it easier to continue working are the ones that are healthy, well educated, and highly skilled, tend to be the ones that are least likely to need the money.